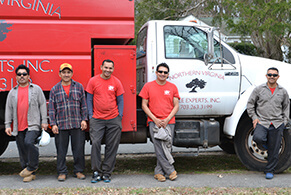 Learn more about Northern Virginia Tree Experts, Inc.
With over 41 years of tree experience and a passion for healthy landscapes, Northern Virginia Tree Experts, Inc. is the community’s answer for dependable tree and shrub care. Our team has been committed to the success and beauty of your landscape since 1977. Northern Virginia Tree Experts is a TCIA-accredited tree care company that provides professional, quality tree care to Northern Virginia, Montgomery County, MD and Northwest D.C. We know you’re looking for a qualified company with the ability to give you the tree service, tree protection, and tree care that you need; there’s no need to look further! Northern Virginia Tree Experts can do everything that all of the other companies claim they can do, and do it better, saving you money! Over the years, we have earned a reputation for providing the very best tree and yard care services around. We are a family-owned and operated local business that has been serving the DC metro area for over 41 years and counting. Every member of our team is fully trained and licensed in every aspect of tree care. Our Certified Arborists and skilled tree crews have nurtured the green investments of the home owners, municipalities, institutions, and associations of the Greater Washington metro area. Northern Virginia Tree Experts combines urban forestry management principles with a company-wide commitment to reliability and fair pricing. Our tree care staff is fully-trained and licensed to satisfy all your particular needs! Their expert and dependable advice is freely given and costs you nothing. Our skilled, experienced tree care professionals will help you maintain the beauty of your trees, maximize their health, and improve the safety of your property. We fully realize that when it comes to something as important as your trees, you want the best. 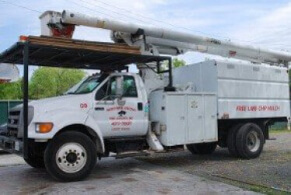 By choosing Northern Virginia Tree Experts, you’re selecting a company who is trusted by the Roanoke community; nearly all of our business comes from our customers’ referrals! For more information about Northern Virginia Tree Experts or to request one of our tree services, contact us today!